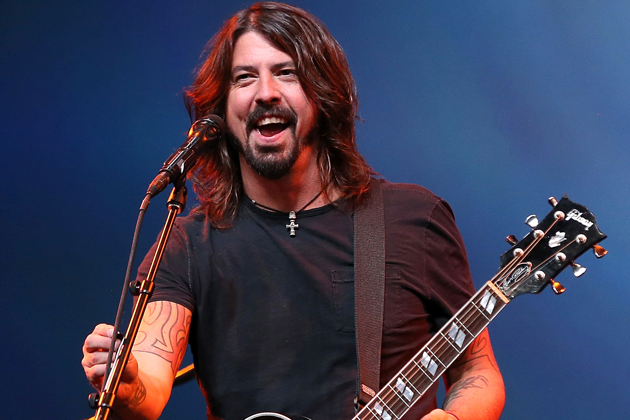 Popdose takes a look at the best songs that have featured Dave Grohl. If you ever wanted to be a rock star, take a look at the way Dave Grohl does things. The guy has either performed on or created some of the most amazing tunes of his generation from his iconic stint in Nirvana, to the worldwide success of Foo Fighters right down to his idolization of his metal gods with Probot. The best thing about Grohl is he seems to thoroughly enjoy what he does and continues to be awestruck by the people he performs with. With his amazing Sound City documentary now out and the soundtrack finally being released on March 12th, it seemed like a good point to look at the best tunes that he’s had a guest spot on. This doesn’t include any project that isn’t a full time thing but he organized (like Sound City or Probot) but rather songs and albums of other people’s that he’s appeared on. A satanic pope covering ABBA with Dave Grohl. Fantastic. A blistering cover of the Iggy Pop tune from Nick Oliveri’s band. This marks the first appearance of Dave on a track after the death of Kurt Cobain. Earthlings? featured Pete Stahl who played with Grohl in Scream. Grohl is the only thing that makes Jack Black tolerable. Almost a rebirth for the band, their traditionally gritty sound takes a dynamic turn upwards thanks to Grohl’s tremendous drumming on the entire record. I’ve never been a Cat Power fan but this tune is simply fantastic. Combines Dave’s love for both rock and metal into one rockin’ tune. I would have never thought Juliette Lewis could rock out like this. Totally irresistible.